After a months-long propaganda attack on this most beneficial plant, this month, police began raiding kratom sellers as if they were human traffickers. In the last few months, proving their loyalty to the dangerous opioid giants—responsible for tens of thousands of deaths a year—the Department of Health and Human Services, along with multiple state boards of pharmacy, have moved to classify the kratom plant as a schedule 1 drug. This movement against the plant by Big Pharma loyalists has been increasing and it came to a head this month in Ohio as the Ohio Board of Pharmacy became the latest group to jump on the ‘ban kratom bandwagon’ and classified kratom as a schedule 1 drug. This followed a move by the FDA—who falsely declared kratom to be an opioid earlier this year. Because kratom has similar effects as opioids—which happen to be vastly safer and milder—the FDA declared it to be a dangerous opioid drug. 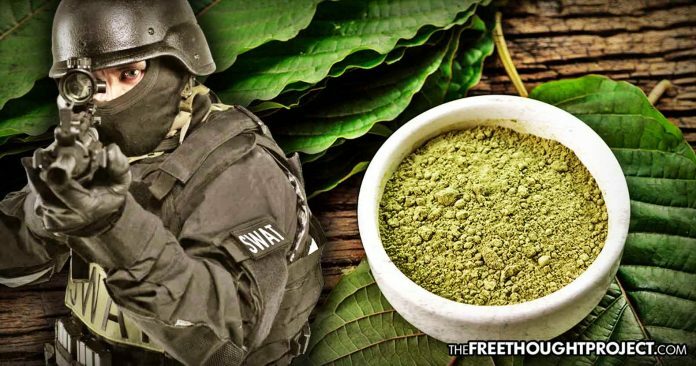 Earlier this year, referring to naturally wild growing kratom plant as a “street drug,” Scott Gottlieb, commissioner of the Food and Drug Administration, claimed that he and the FDA are acting “in the interest of protecting public health,” and will therefore attack a plant used by millions to enrich the police state, foster the drug war, and ensure a lifetime of profit for the pharmaceutical industry which has addicted the nation to its dangerous and extremely deadly synthetic opioids. 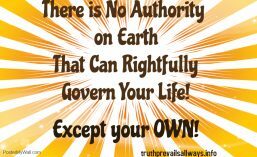 This is now coming to a head. . . . .